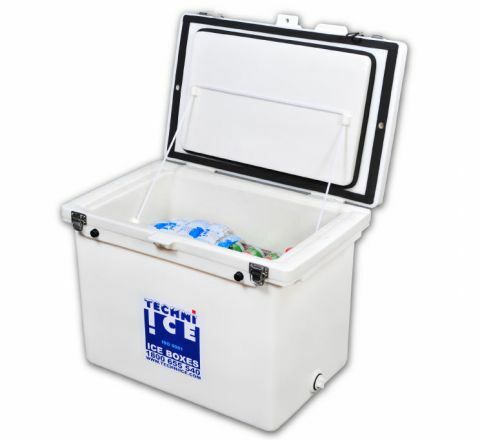 The Legendary Techniice Company have several range of ice boxes with the Classic range being the most popular. 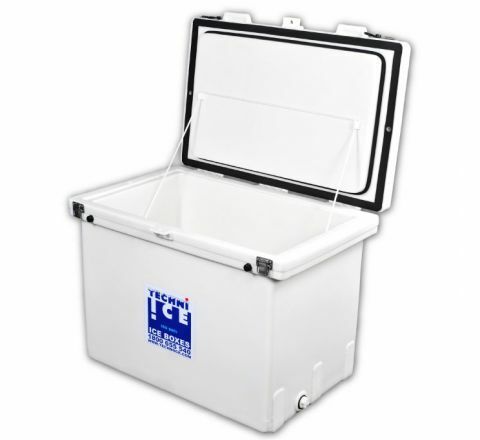 Robust , Tough , Heavy Duty Commercial Grade Ice Box Coolers that are hand crafted and now built with a unique Dual Seal Feature designed to create airlock between two seals and enhance performance. 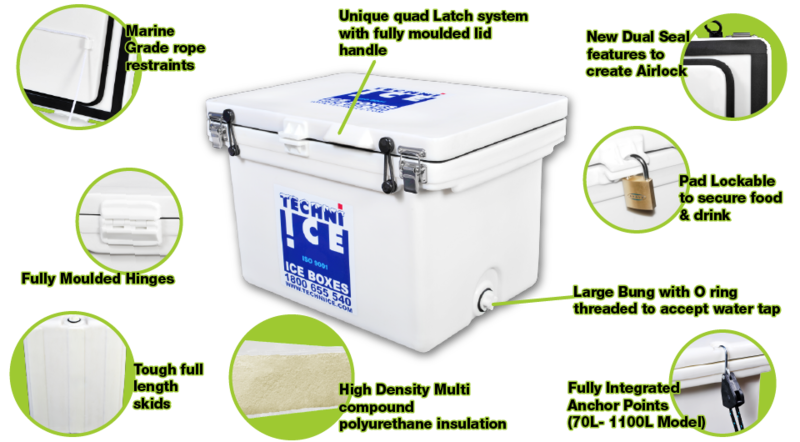 The Box is designed with a DOUBLE THICK LID to provide double insulation from the top where most radiant heat enters the ice box . 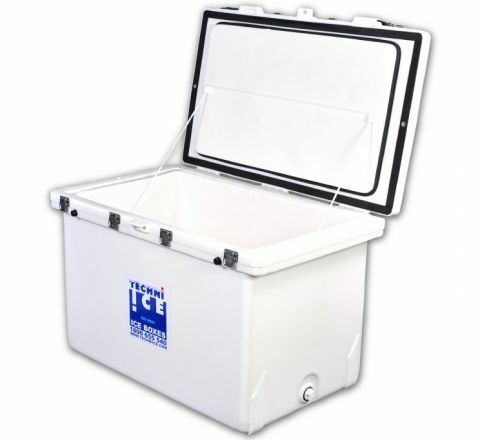 The ice boxes are constructed with HIGH DENSITY MULTI COMPOUND POLYURETHANE INSULATION injected under high pressure into the walls and double thickness lids for stunning performance. 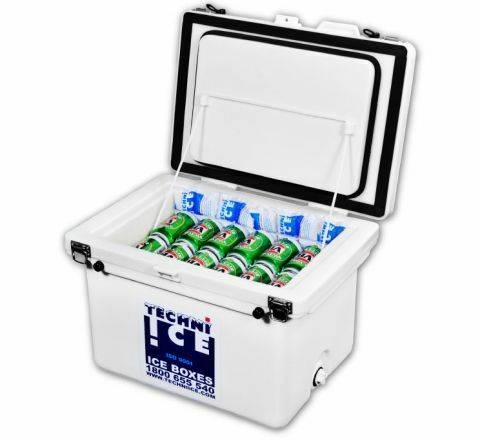 The Techni Ice classic range are the original cooler range that the company built its cooler reputation on. 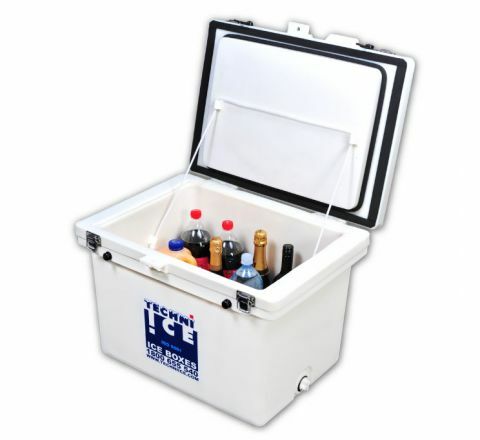 They have enjoyed various upgrades over the years and are now even better than they were before, which was very good. 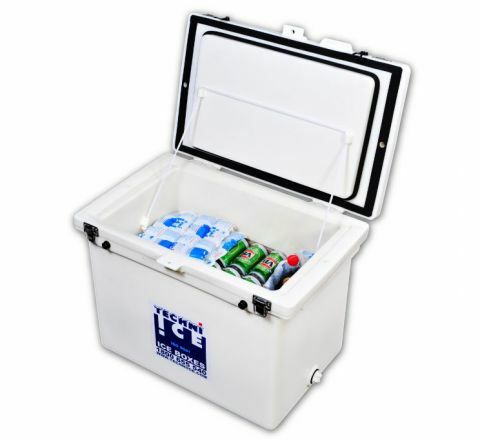 A great performing robust cooler for the whole family comes with the Techni Ice lifetime parts and labour guarantee. 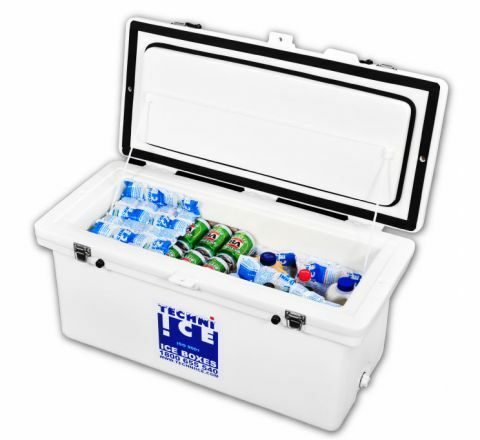 The Classic range come in the biggest range of size from 40 Ltr though to a massive 1100Ltr.